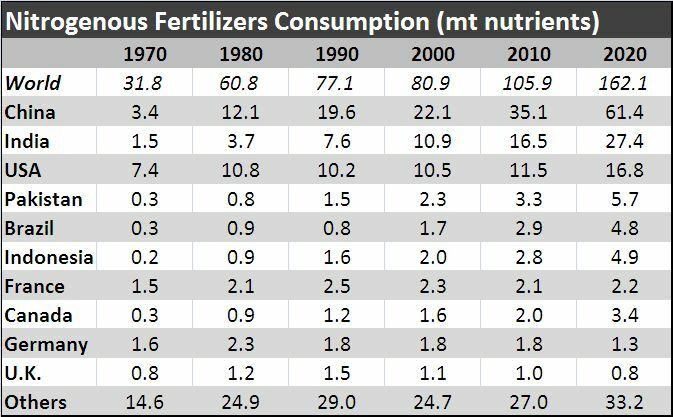 Nitrogen is the most crucial and major nutrient element in plant growth. 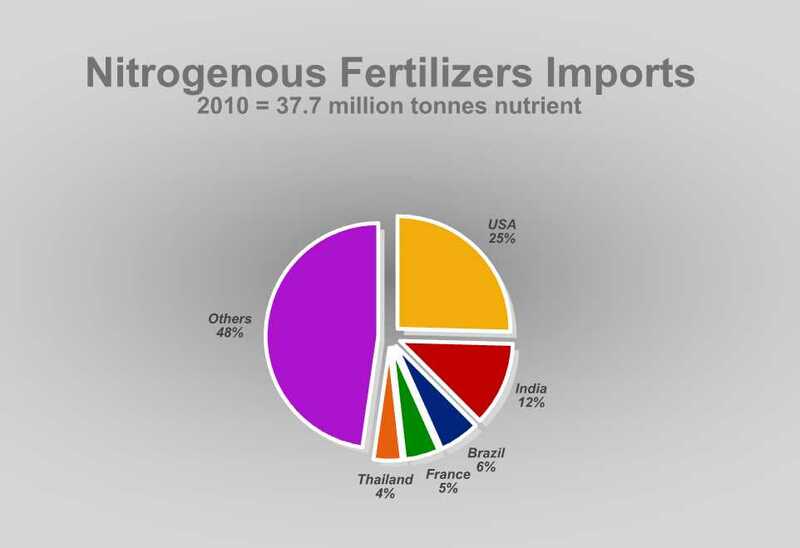 It is abundant in nature and enhances better yields. 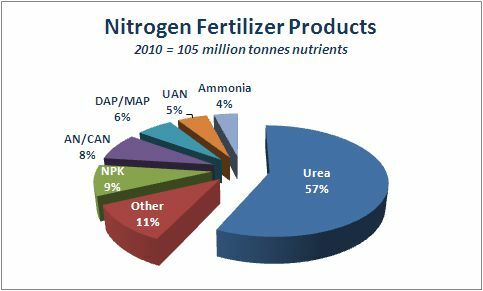 Because of its high nitrogen content (46%), urea is the most popular form of solid nitrogen fertilizer, particularly in the developing regions of the world, and is traded widely in the international market. 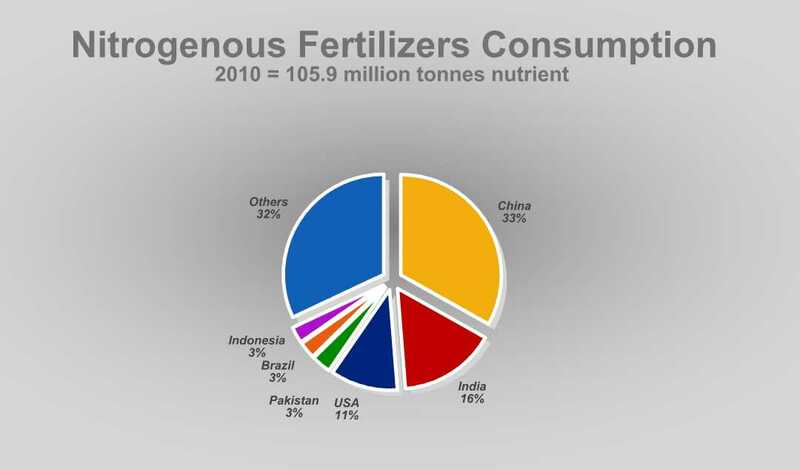 More than 40% of all food grown in the world is fertilized by urea. 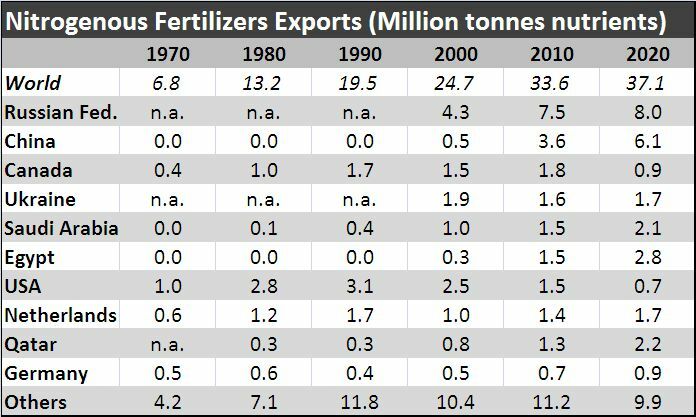 Growing faster than dry nitrogen-containing fertilizers, nitrogen solutions are mostly used in the United States and Western Europe. 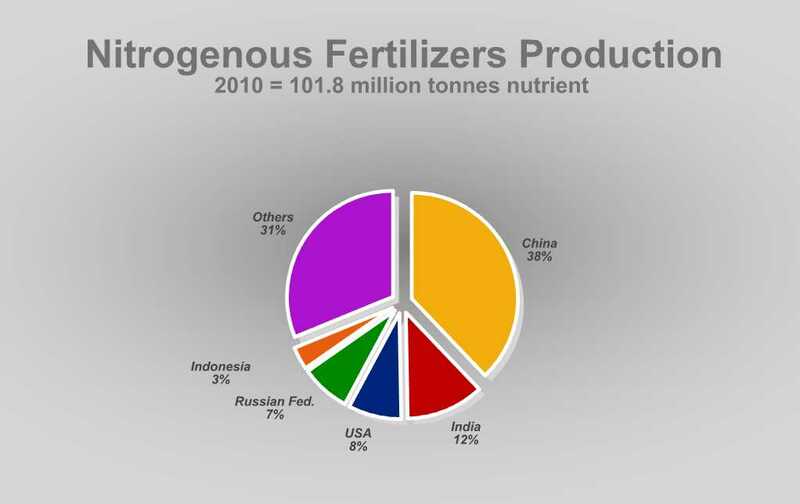 China is the largest consumer and producer of nitrogenous fertilizers, it is the main factor shaping the nitrogen market. 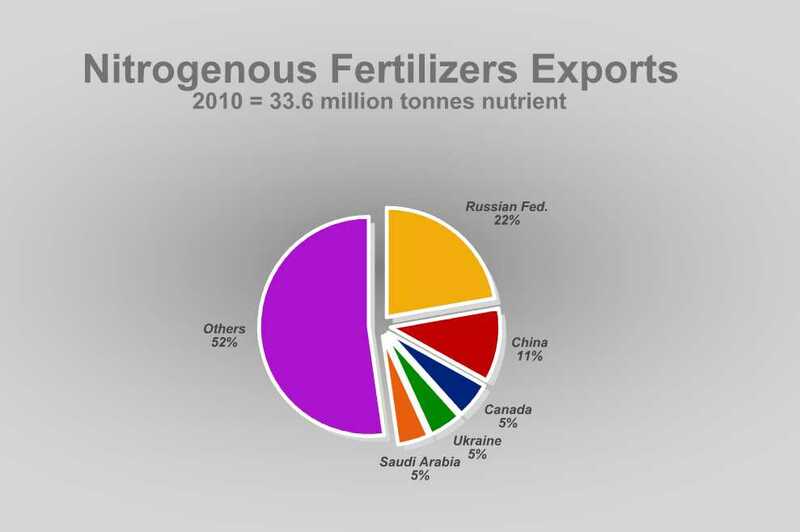 Global nitrogen demand has strengthened signiﬁcantly during the second half of 2012 and into 2013, balancing the strong increase in supply from China. 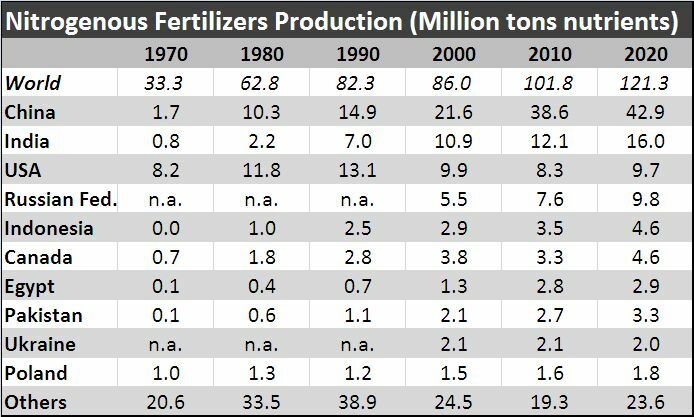 Nitrogen products are manufactured from anhydrous ammonia, which is most commonly synthesized from natural gas, steam and air. 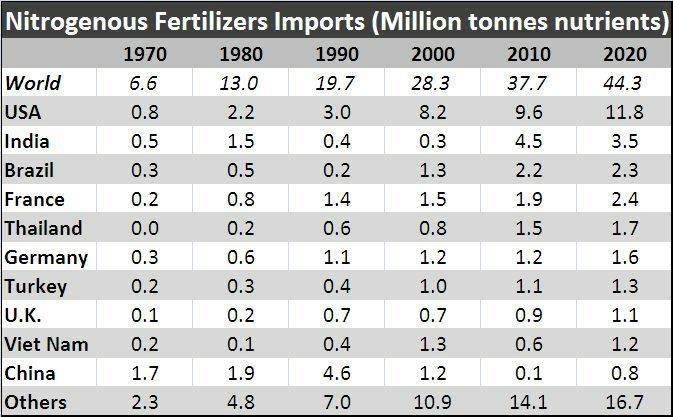 The highly competitive nature of this market makes nitrogen fertilizer prices relatively volatile.